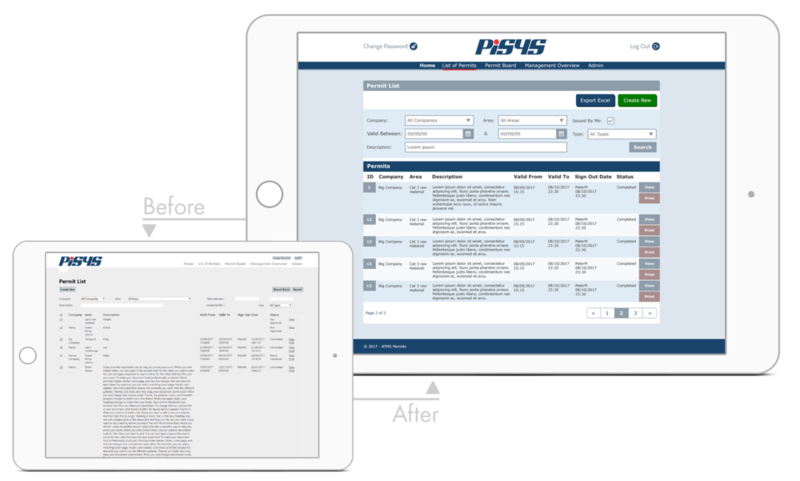 Permit to Work (PTW) is a successful work permit generator and management overview software developed by Pisys for use in the oil and gas industry and beyond. 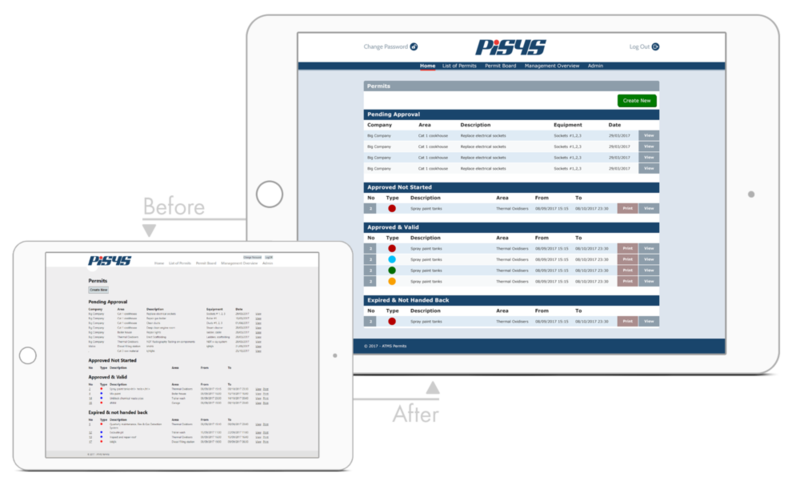 Over a number of years Pisys have work closely with industry to create a product with the flexibility and ease of use to suit almost any job permit requirements. After focusing purely on functionality to get the product where it is today, and with an eye on the wider commercial market, Pisys contracted Open Frequency to overhaul the entire User Interface. Building on the solid foundations already in place we utilised our design expertise to elevate the PTW user experience improving the overall aesthetics and legibility as well as usability on touch devices. Simply fill out the form below and a member of our team will be in touch to provide you with more information on how we can collaborate to help make your product a success.